The generation gap between retiring baby boomers and up-and-coming millennials has created some unique challenges for HR. As the first generation that grew up with smartphones in their hands, millennials have high expectations for feedback, interaction, and collaboration. Add to that the trend toward team structure rather than top-down hierarchies and you get one of the top HR tech trends of the year: the reinvention of performance management. Fortune magazine reports that, according to a recent study conducted by consulting firm Achievers, 98% of HR leaders no longer believe annual reviews are effective. But they’re still the primary method of providing performance feedback to employees for the majority of businesses. Say what? They don’t happen often enough. They’re too long and require too much time to complete. They link compensation to a performance rating. As companies experience the friction caused by these obstacles, they begin looking for more agile processes that incorporate frequent feedback, coaching, and goal setting. But their HR software doesn’t always make process updates easy. Fortunately, that’s changing. Subjectivity will always play a role in feedback because that’s the nature of the beast. Still, by inserting checks and balances into the review process, managers can create a better overall picture of the employee. Frequent peer feedback, self-evaluation, and manager evaluation help assessments hone in on specific strengths and weaknesses rather than general impressions. In addition, focusing on intentions (What would you do if Employee C told you she had another job offer?) rather than subjective statements of value (Is Employee C productive?) helps determine what employees and managers will actually do rather than how they feel. 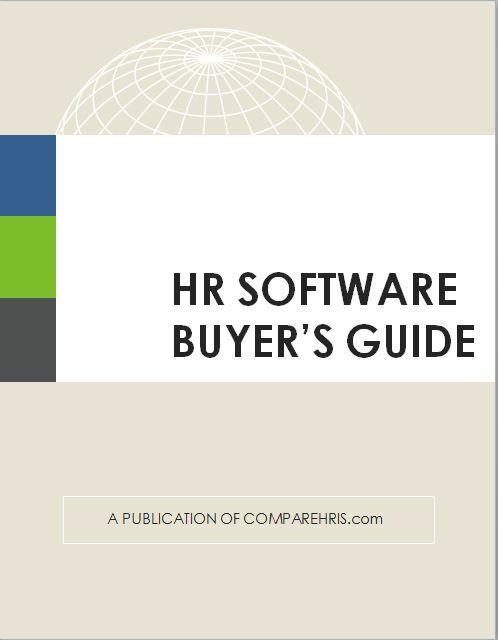 Example: Bamboo HR incorporates a robust peer review process into their software platform. Managers can choose who supplies peer feedback for a particular employee and the software will automatically send reminders and track completed actions. By separating feedback from formal assessments, employees receive useful suggestions for improvement and managers can keep tabs on engagement over time. Millennials, especially, want more frequent feedback that helps them be the best employees they can be without waiting till the end of the year when it’s already too late to change anything. More frequent evaluations go hand in hand with the shorter question structure above to create targeted, useful performance discussions throughout the year. Notifications, reminders, and completion alerts built into the software make this process easy to manage. Goal setting is another way to promote self-regulation among employees while also providing concrete assessments based on how each employee performs on a given project. Example: Ascentis allows employees to create goals within the software and provides notifications to keep them on track. They can also rate themselves, update details, and add feedback as each goal is completed. Lengthy annual evaluations result in rushed completion and less helpful data. One solution is to ask fewer questions, while making sure that each one seeks out targeted insight from both managers and employees. When feedback requests take only minutes to fill out, managers can do them anywhere, at any time—even from a mobile device on the go. Example: Mobile access, such as this platform from Ascentis, makes it easier for managers to provide real-time, relevant feedback even when they’re not in the office. Paying for performance is not a bad deal. Top performers should see their effort reflected in their paycheck. But you don’t want to link those pay increases to an assessment rating, because ratings can be skewed and evaluations may not be candid. One way to solve this problem is to develop a richer solution for evaluating employee performance and engagement in order to identify top performers. With that data, companies can create performance policies that stipulate how to determine pay raises. In addition, this approach helps separate cost of labor adjustments (which need not be justified based on rankings) from performance-based raises. Example: This graph from Bamboo HR’s employee performance module demonstrates how both performance and engagement can be rated across the organization, making more substantive comparisons possible. 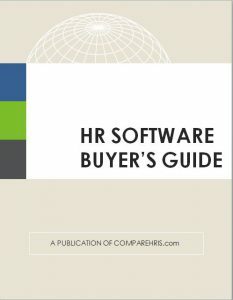 HR software plays a huge role in developing better performance management, but it is not a silver bullet. Rich software features encourage companies to look at their processes and ask whether they take full advantage of the capabilities of the software. By aligning performance management goals with software potential, companies can create more engaged, more productive employees—and ditch the annual review. Goodbye Corporate Ladder, Hello Teams BYOD: Friend or Foe of HR?